Starting with our 2-year-old preschool program and continuing through our elementary grades, St. Michael’s Academy relies on the A Beka curriculum for all our language arts. We’ve implemented other resources as well, as you can see below. Abeka is a Christian curriculum that combines effective teaching strategies with a strong phonics-based foundation. Its Christ-centered focus starts with the fundamental belief that God is the author of all wisdom and that He is a God of order. Children thrive in an environment of order and boundaries, therefore the Abeka program emphasizes the rules in each subject, whether it be in letter sounds, letter formation, or number order. Once children learn these foundational principles through repetition and reinforcement, they are able to successfully learn to read, write, count, and calculate. St. Michael’s Academy relies on the Abeka curriculum for all of our preschool courses and for our kindergarten and elementary language arts, mathematics, and penmanship classes. Walking with God and His People is a powerful Bible curriculum for Christian educators who want to help students know God’s word, believe His promise, and live in faith and obedience. Solid theology and educational best practices help teachers provide a structured Biblical base while ensuring a balanced approach to learning. Comprehensive in scope and sequence, Walking With God was developed to ensure a strong and lasting connection with students. The goal is to equip students with the knowledge they need to understand and believe God’s word, and to reflect that relationship and faith by living lives of gratitude and obedience. St. Michael’s Academy uses Walking with God and His People for its elementary Bible curriculum. 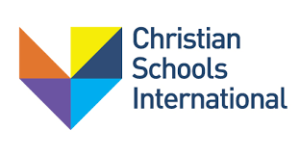 Purposeful Design Publications is the publishing division of the Association of Christian Schools International (ACSI) and is committed to the ministry of Christian school education. The goal of Purposeful Design is to enable Christian educators and schools worldwide to effectively prepare students for life. As a publisher of textbooks, trade books, and other educational resources, they strive to produce biblically sound materials that reflect Christian scholarship and stewardship and that address the needs of Christian schools and homeschool families around the world. All of their materials are carefully researched and developed to provide cutting-edge instructional tools. They are designed to intentionally draw the hearts and minds of students to God, as Creator and Sustainer of all of life. St. Michael’s Academy has adopted Purposeful Design for our elementary science curriculum. BJU Press makes history and other social studies topics meaningful and relevant by making them active. The Heritage Studies program includes a number of activities that spark interest and allow students to interact with the material they are learning. 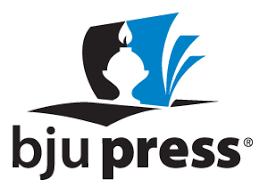 BJU Press seeks to look at every subject through the lens of God’s Word. Heritage Studies offers clear opportunity to see how God has had His hand on human events to establish His kingdom. Students have the opportunity to study the lives of historical figures and learn how they either failed or succeeded in following God’s standards. However, their biblical integration is not confined to the historical aspect of Heritage Studies. Students are also given opportunities to evaluate concepts, such as cultural values, economic issues, and governmental systems in the light of Scripture. Students need to be aware of the past in order to appreciate and understand the present. They also need to be able to think critically about the issues they will face. The BJU Press Heritage Studies program gives them the skills and knowledge they need to make good decisions in their homes and communities. St. Michael’s Academy implements the Heritage Studies for our elementary history and social studies curriculum.